Whether you are planning a wedding or a special party, we are happy to arrange beautiful florals for you. We specialize in local flowers and foliage from our gardens and other local farms. Our designs reflect the season—from lush lilies to a colorful, textural display of dahlias, we gather inspiration from what our gardens have to offer. Our flowers are custom grown from seed allowing us to provide many special and uncommon varieties. We also forage materials from our local environment to make your celebration even more captivating and unique. Your flowers will be harvested days before your event to ensure the most fresh, vibrant, gorgeous blooms the season has to offer. 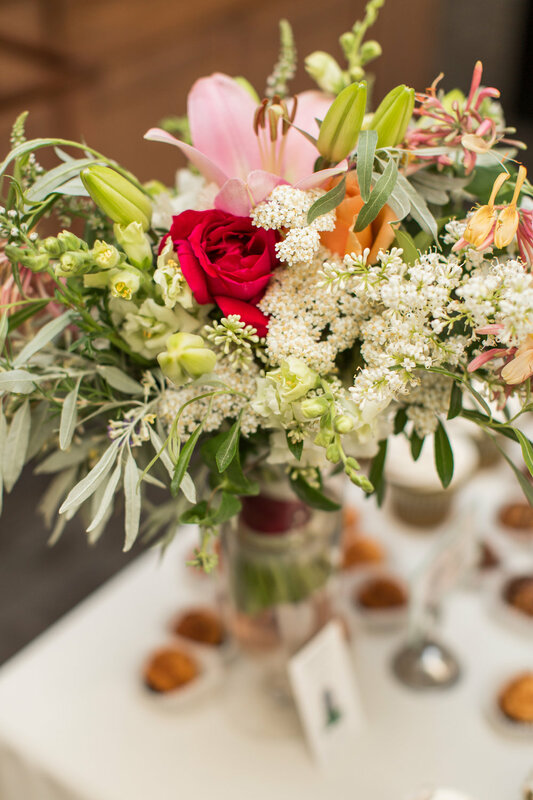 We take care of all of every floral detail from centerpieces to bridal bouquets and everything in between, with full service attention for your special day. This package includes an on-farm consultation, all wedding and reception flowers, set-up and delivery. Full service packages start at $2500. Each item is priced separately in your quote. Available April 1 - October 30th. 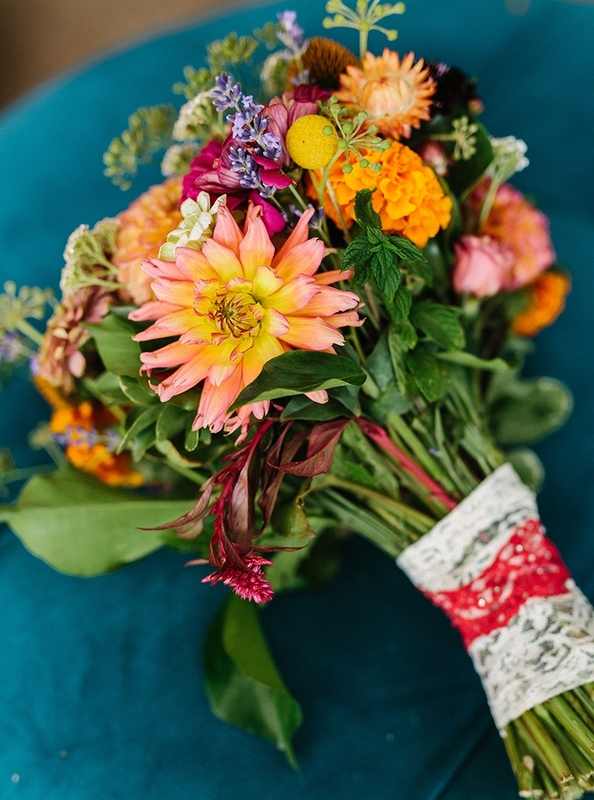 With this option, we create the key florals like bridal bouquet, boutonnières, corsages, and bridesmaid bouquets. Pick up the arrangements at the farm the day of or day before the wedding (a great job for a bridesmaid or family member). This pairs nicely with the Bulk Botanicals option. There is a $500 minimum for the À la Carte option. Each item is priced separately in your quote. Available April 1 - October 30th. Our mixed buckets of flowers and foliage are a great option if you have a smaller budget or if you want to create your own designs. Bulk botanicals include a combination of focal flowers, filler, greenery and seasonal accents in your color palate. We will do our best to accommodate your flower and color preference but this cannot always be guaranteed. There is a $225 minimum for the Bulk Botanicals option. Available June 1 - October 15. Thank you for your interest in our flowers! Please tell us a little bit about your wedding. We will get back to you within two weeks with our availability on your date and to discuss further details and create a quote. Please download this PDF document explaining our process and what you can expect from us.